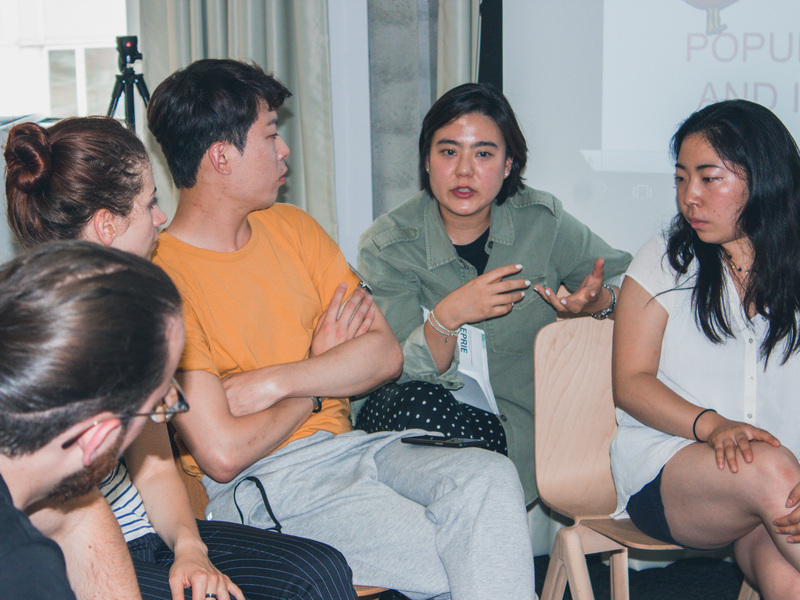 From June 27 to July 8 Korea Verband has organized the exchange program EPRIE 2018 “Media in times of populism and post-truth politics – challenges and opportunities” in Krzyżowa / Wroclaw (Poland), Potsdam / Berlin (Germany) and Brussels (Belgium). 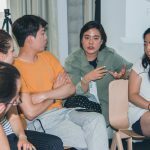 Twenty young people aged between 25 and 35 years participated in the program, half of them from Europe (Germany, Poland, Italy, Switzerland, Armenia, Macedonia, and Romania) and half from Asia (China, Japan, Korea, and Pakistan). 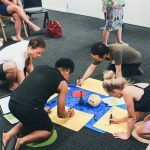 The group was also balanced in terms of proportions between academics and practitioners and gender. EPRIE 2018 addressed the question of the effects of populism and post-fact politics on the media and discussed opportunities and challenges for journalism. The 12-day program consisted of a pre-seminar in Krzyżowa, a seminar in Potsdam and Berlin and an alumni workshop in Brussels. 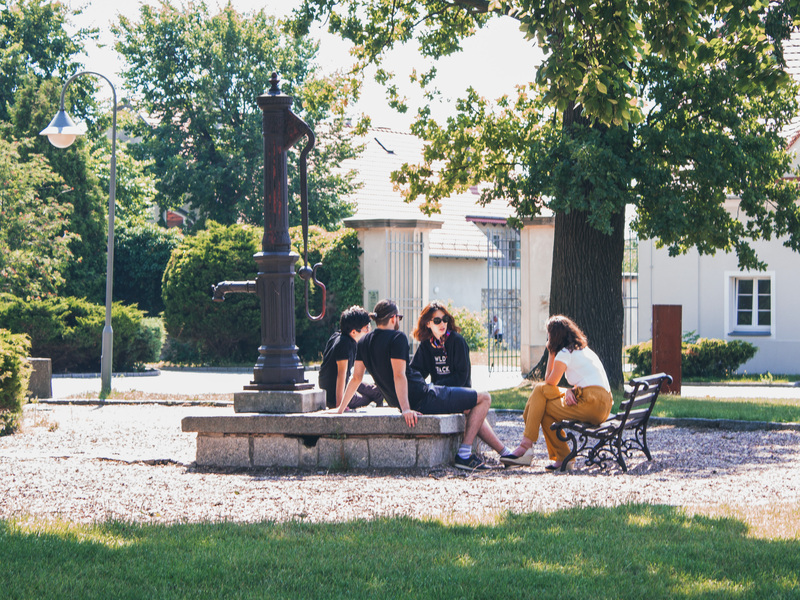 In Krzyżowa the participants got to know each other. In the seminar they prepared presentations on populism in their respective regions. Lecture on investigative journalism in Japan. The program kicked off with a pre-seminar at the international meeting place Krzyżowa Foundation for European Understanding in Poland combining an intercultural training, personal introductions and various methods aimed at getting participants to know each other in their diverse roles beyond their nationalities and backgrounds. 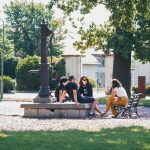 A visit to the outdoor exhibition “Courage and Reconciliation” on the grounds of the meeting place linked the pre-seminar to the EPRIE programs of the past years. The visit to Poland ended with a guided tour of Wroclaw and a talk by Michał Syska, Ferdinand Lassalle Centre For Social Thought, on populism and the media in Poland. During the seminar in Potsdam, the participants discussed how media relate to dynamics of populism, and why post-truth politics and “fake news” appeal to so many people. Leonard Novy from the Institute for Media and Communication Policy introduced national discourses and the role of the media. 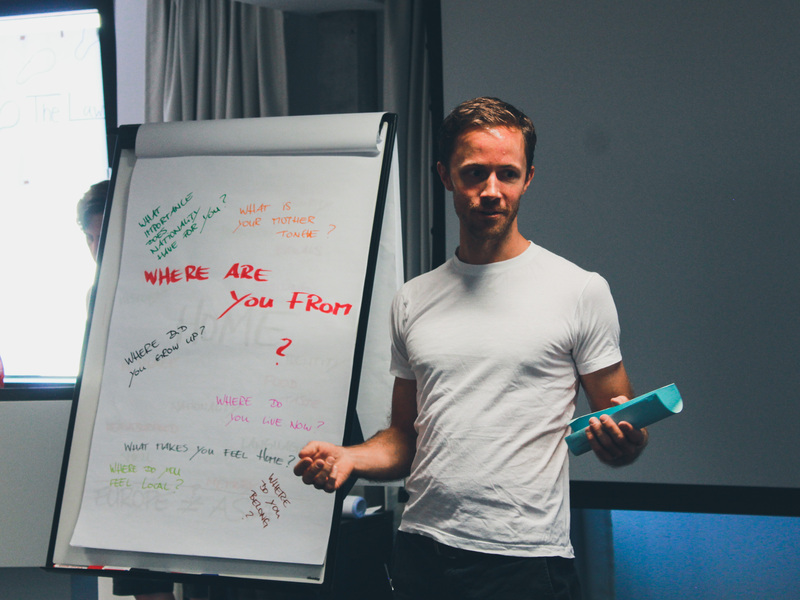 In small working groups, the participants helped to shape the program and to elaborate on questions themselves. 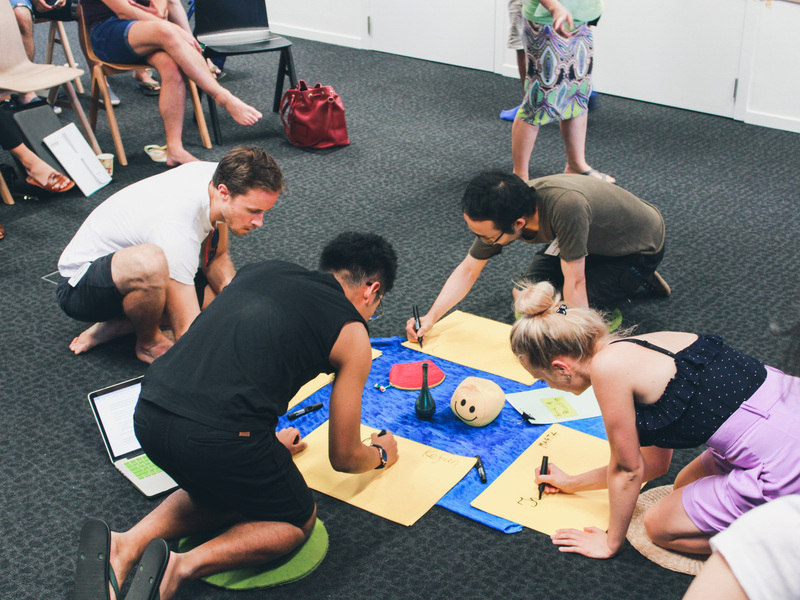 Julia Lehmann facilitated the seminar by using different peer-to-peer formats and methods. 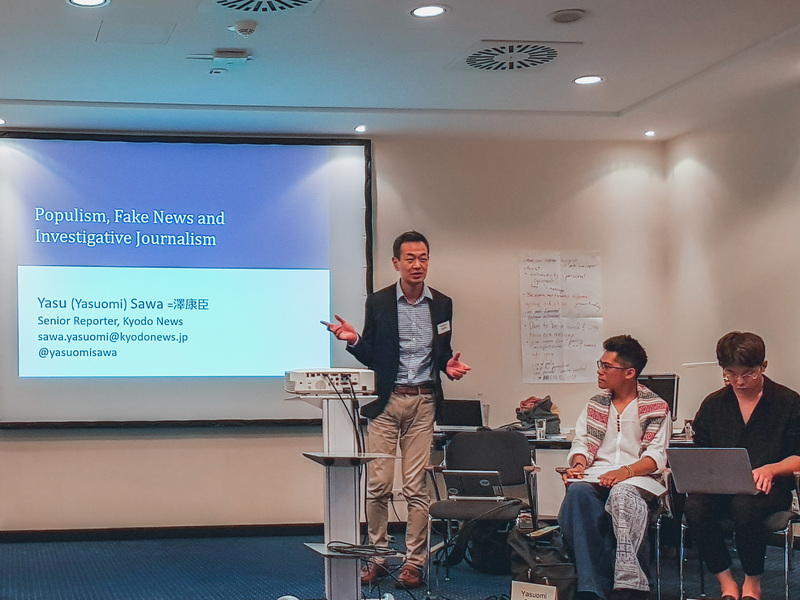 Further workshops explored how media can be used to create new channels of communication and participation, how new and independent actors in Europe and East Asia refute “fake news” through investigative research, data journalism and fact checking. NGOs such as Das Nettz, Kleiner Fünf, Das Progressive Zentrum and Neue Deutsche Medienmacher showed how their activities deal with “hate-speeches” and “hate-mails” or counter increasing populism. The seminar also highlighted how populism influences democracy in different countries. In lectures by Yasuomi Sawa, Kyodo News, Dr. Young-Gil Chae, Hankuk University of Foreign Studies, and David Bandurski, University of Hong Kong, we learned about specific idiosyncrasies and challenges in East Asia. In Brussels, the EPRIE 2018 participants met with the alumni of previous programs. As part of an Open Space workshop on “Building global ties – effective communication and concrete projects”, organized by a group of alumni, participants and alumni had the opportunity to engage with their own interests and ideas, and to exchange them with similarly interested people. 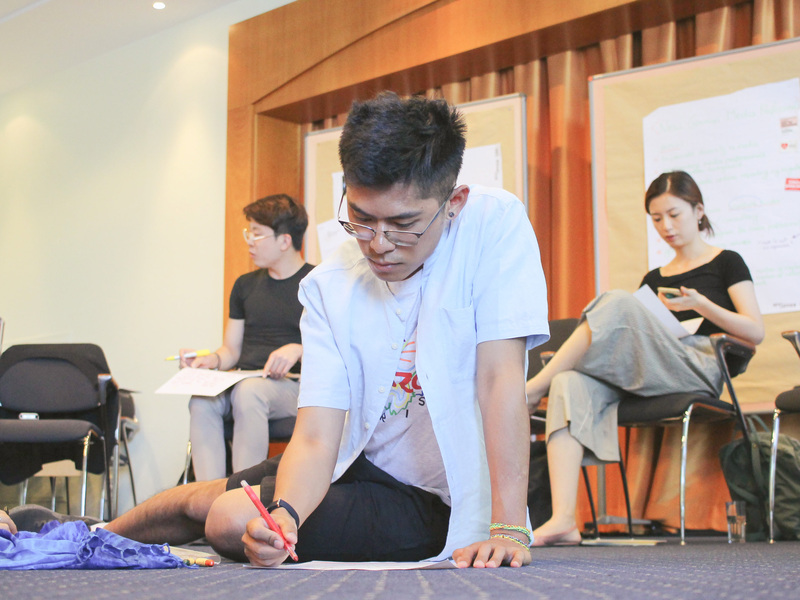 During the open space, participants and alumni found out about their interests. After the program, the foundations for further cooperation are laid. The Open Space ended with an action planning session for the implementation of joint project ideas. 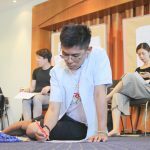 These include further networking via regional alumni coordinators or the EPRIE Journal 2018 prepared by alumni and which primarily publishes articles on the subject of media and populism. Some ideas have developed into cross-regional and multi-year projects funded by the EPRIE Project Fund (EPF). 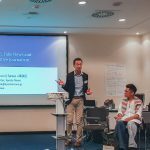 Together with the Robert Bosch Foundation EPRIE launched the EPF in spring 2018 in order to strengthen the networking of EPRIE alumni beyond the program. The first results have already been presented in Brussels. 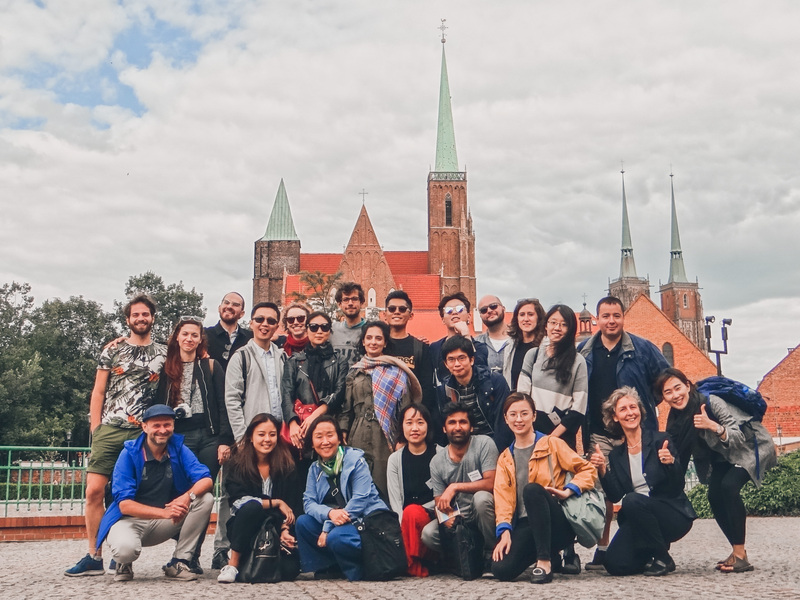 The cover picture shows the participants of EPRIE 2018 during the city tour in Wroclaw, Poland. 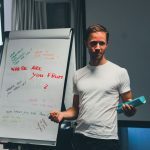 Pictures in this article are taken by participants and alumni of the program.